Gone are the days of super shiny glossy lips. The latest lip trend offers makeup mavens and newbies an intensely pigmented long-lasting formula with a velvety matte finish. While I love a good matte (shine-free) finish I have many friends who steer clear of liquid lipsticks claiming they’re too drying or that they flake off the center of the lips throughout the day leaving behind a not-so-cute lip liner appearance. 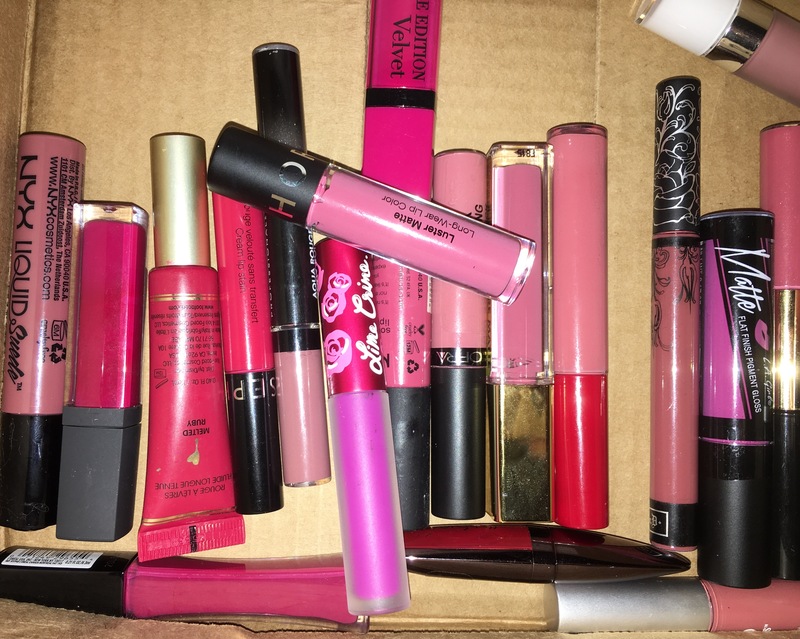 After hearing their complaints, I set out to try (almost) every liquid lipstick I could get my greedy paws on—23 to be exact— in the hopes to give you a comprehensive guide on the best liquid lipsticks and how to wear them. See below for my thoughts, tips and tricks to successfully wear liquid lipstick. Liquid lipstick can be a busy girl’s best friend. Most formulations are smudge-proof & budge-proof lasting from your morning coffee to your 6 o’clock cocktail. To prevent the dreaded dry flakey lip take a lip scrub of your choice—I recommend the Sara Happ & Lush versions—or make your own using equal parts olive oil and sugar. Take a pea-sized amount and gently rub onto the lips in circular motions for about 30 seconds then wipe away with a paper towel. If you’re pressed for time take a clean dry tooth-brush using the same circular motions. Either way you’ll be left with a flake-free pout. After removing the dead skin cells it’s important to hydrate your lips. You may be thinking doesn’t that defeat the purpose of using a matte liquid lipstick? Actually no. Liquid Lipstick looks best on smooth hydrated lips. To achieve lush looking lips take a lip balm of your choice (I’m loving glossier’s balm dotcom at the moment) after you’ve applied your facial moisturizer. Applying the lip balm at this point in your routine gives the product an ample amount of time to sink in. Right before you apply your lip liner and liquid lipstick dab off the excess moisture with a tissue to reveal the perfect canvas. Instead of reaching straight for your liquid lipstick take a lip liner in either the color of your natural lips or the same color of the lipstick you plan to use taking it along your natural lip line then lightly filling in the center. This creates a barrier between your lips and the liquid lipstick. It also acts as base to ensure the product doesn’t feather outside of your lip line. For a seamless application make use of the doe-foot or paddle-shaped wand that comes with most liquid lipsticks. Starting with your bottom lip run the tip of applicator along the natural lip line then fill in your bottom lip. After the bottom lip is done take the wand to your top lip making an X connecting the top of your upper lip to the center of your upper lip spreading the color outwards to the edges. This technique ensures an even mistake-free application. No need to reach for a lip brush—unless you want to. Now that you’re ready to conquer the liquid lipstick trend see below for my top five favorite formulas and shades out of the 23 different brands (see proof below) and formulas I tried.